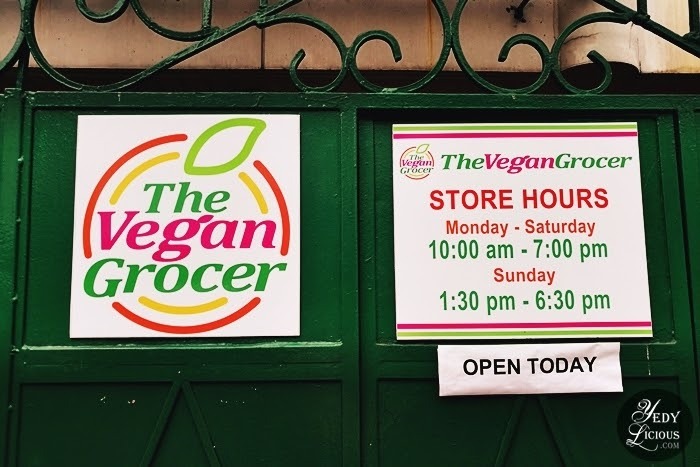 It was my birthday last week and instead of the usual celebration where I stuff myself silly in whichever buffet restaurant I currently fancy, I decided to eat at one of my favorite vegetarian restaurants instead then check out finally The Vegan Grocer in San Juan. I figured it's the best way to start another year and as expected, the entire day did not disappoint. I have mentioned in one of my blog posts here on the blog that I am eating mostly vegetables these days. Have I gone vegetarian/vegan/plant-based? Nope. Not yet, at least. That is why you can still see and will probably see all the usual stuff I normally write here at YedyLicious. I am taking my time, you see. But in taking my time, I am, as much as I can, educating my self about vegan and plant-based lifestyle. 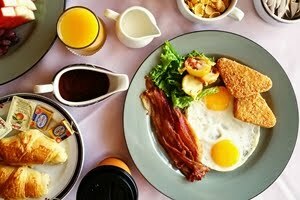 It is not a walk in the park because I am a food blogger and I develop, photograph, and food style recipes for a living. Despite that, I am steadfast in the pursuit of my mission to go vegan if not totally plant-based. I know I will get there. Slowly but surely, I will get there. 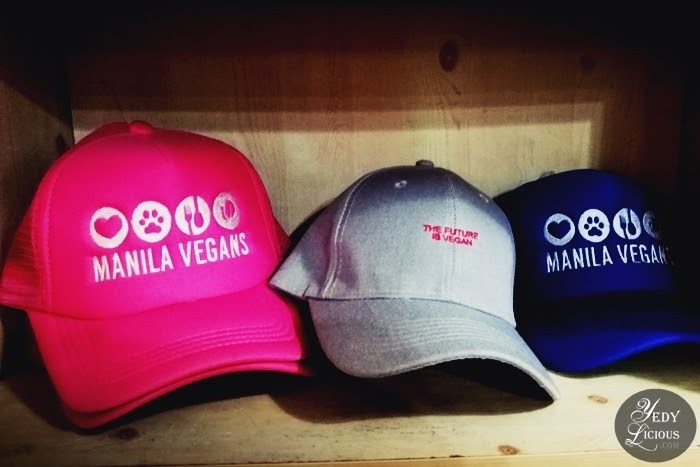 With that, I am thankful that with the advent of vegetarian/vegan restaurants and vegan stores like The Vegan Grocer here in Manila, people like me who are interested in exploring cruelty-free lifestyle are given access to educate ourselves and see viable options. During my visit, I learned that The Vegan Grocer opened just last year. 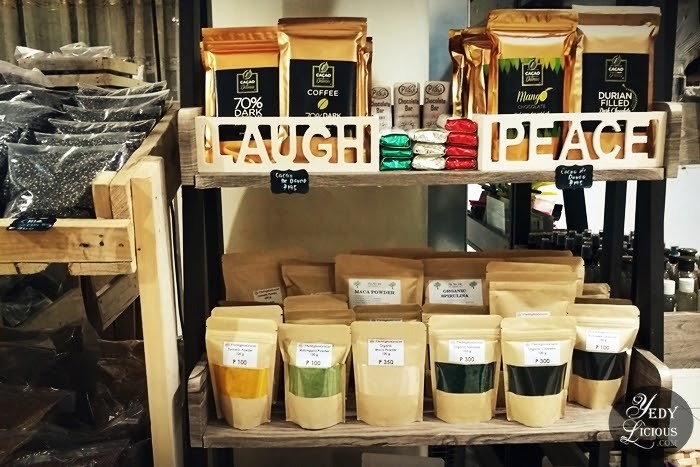 They carry an impressive line of vegan brand products and are still looking to add more in the future to make plant-based and vegan products more accessible to the public. The owners were kind enough to allow me to take photos of their store as well as some of the products they are selling. I spotted some of the products that I usually buy from Healthy Options like Red Mill products. Other products are locally grown brand which I am glad to have encountered because they were completely unfamiliar. 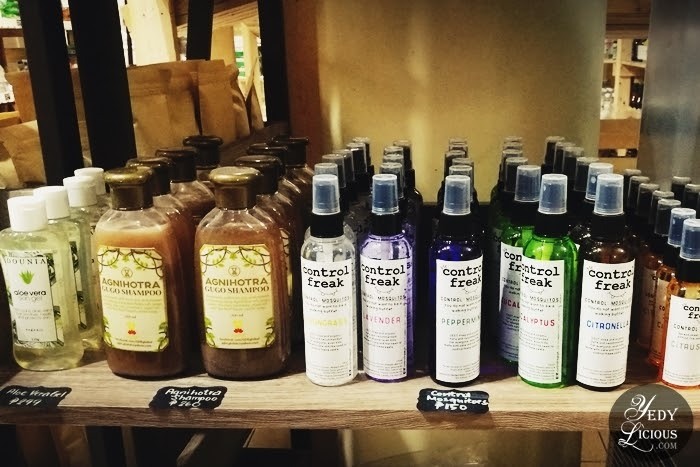 It made me realized that all these time, I have been missing out on some great cruelty-free products which I believe well-worth patronizing. I also spotted some vegan baked goodies such as brownies and cookies. I was able to try couple of cookies and I can't believe that they were made with no egg nor dairy. I just wish that they also come in small packages for people like me who just want to try and introduced ourselves to the healthy version of the classic sinful favorites. And for those who are looking for the ever elusive nutritional yeast (I am looking at you, Braggs. Why so hard to find?) they got the Red Star brand here although packaged differently. 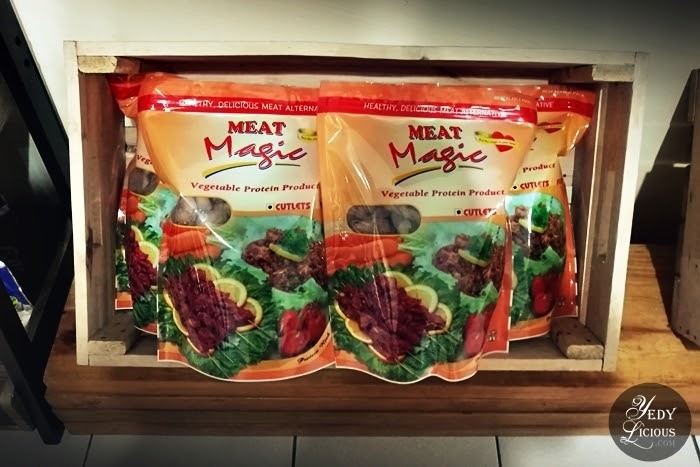 One of the things that caught my attention was the Magic Meat which was said to be a healthy meat alternative. I don't have a problem with faux meat so, I can totally see myself trying this one out in the future. I just need to get the hang of prepping it because I was told that this needs to rehydrate first before using. I am not that well-acquainted with faux meat yet because I have fierce loyalty to tofu and mushroom during those days when I am on plant-based so, I guess I need to equipped myself with knowledge before diving into faux meat. There were also good choices grains like different types of rice as well as my favorite tri-color quinoa. As of yet, they don't have Adlay (Job's Tears) which I am very much into these days, but I was told that it will also be available soon at The Vegan Grocer. There's also variety of vegan chocolate options. My mother bought the variety which has pili nuts on it and when I tried it, I regretted that I didn't grabbed some for myself. 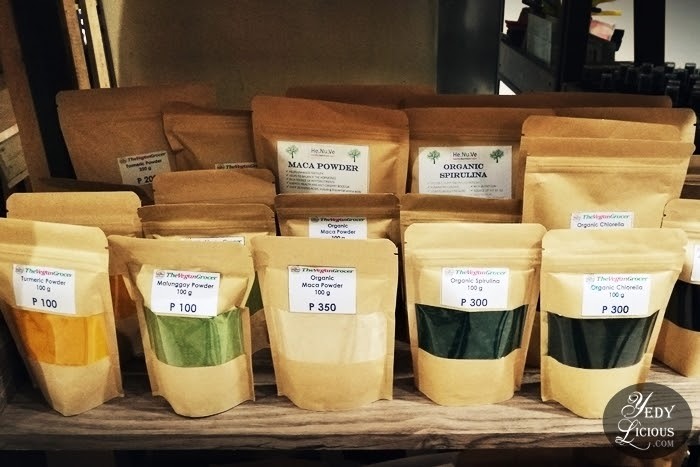 Super foods are also available such as turmeric powder, malungay powder, organic maca powder, organic spirulina, activated charcoal, and organic chlorella. They come in big and small nifty packages which I find nice especially for those who just want to try these products first. 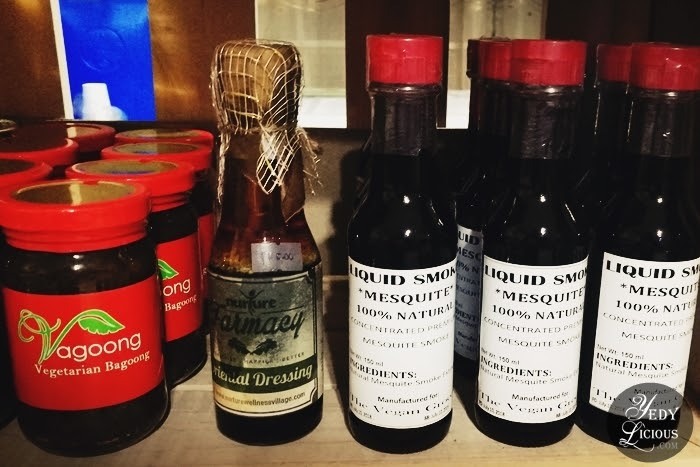 There were different types of vegetable oils, vegan liquid seasonings, hot sauce, balsamic vinegar, coco nectar, coconut cider vinegar, tomato ketchup, and vegetarian sauce among many others. I was really hoping to buy Tamari because that's what I use in my cooking, unfortunately there's none during my visit. I was however lucky that there was liquid smoke available during my visit. I am trying to veganize the hell out of my favorite dishes and that includes bacon. I have couple of vegan bacon recipes to try out and liquid smoke is one of the ingredients. I run out of the Wright's brand which I normally use that's why I was so happy that I was able to buy one albeit a different brand at The Vegan Grocer. I also saw vegetarian bagoong and herbal salad dressing available. 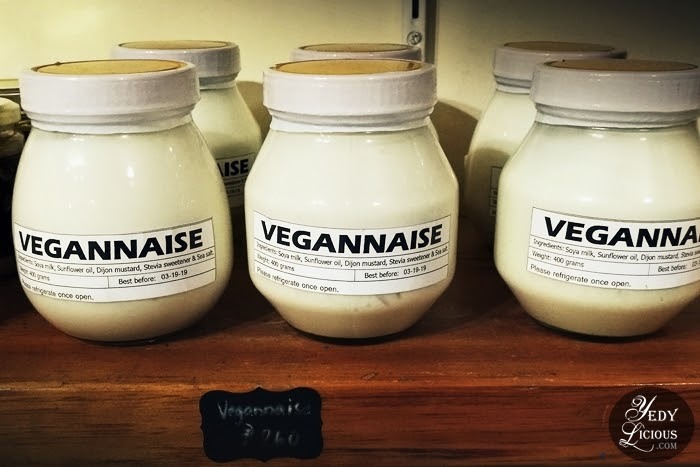 I also spotted vegannaise, a vegan alternative to the well-loved mayonnaise. I still have my Follow Your Heart Veganaise in my pantry but once I'm done with it, I'll definitely try this one at The Vegan Grocer. 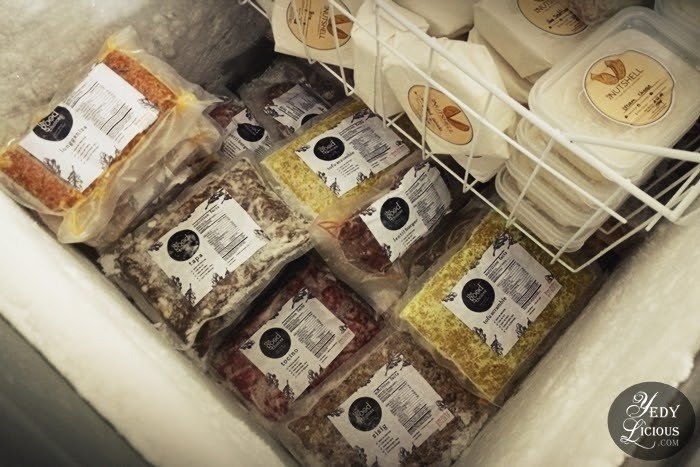 The Vegan Grocer also sells meat-free, egg-free, and dairy free frozen food. They carry an impressive line of brands which is perfect for those who wants to have variety of brand options. Some of the brands I spotted were Naked Food, Nanda's, and The Good Choice. 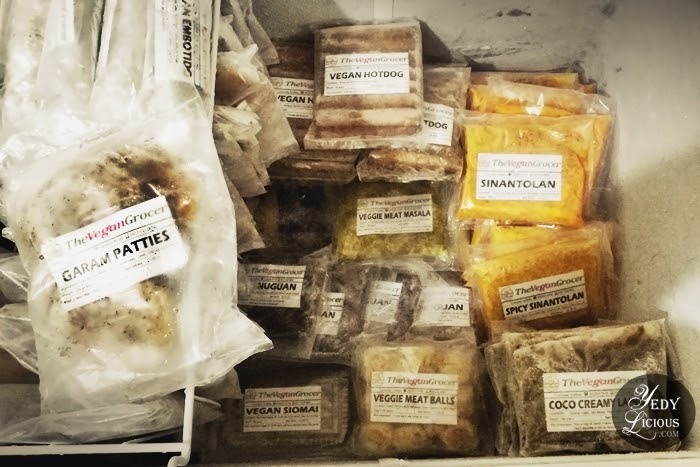 There were also The Vegan Grocer own line of frozen food such as vegan hotdog, sinantolan, veggie eat masala, vegan embotido, spicy sinantolan, beanuguan, coco creamy laing, veggie meat balls, veggie meat masala, and garam patties. 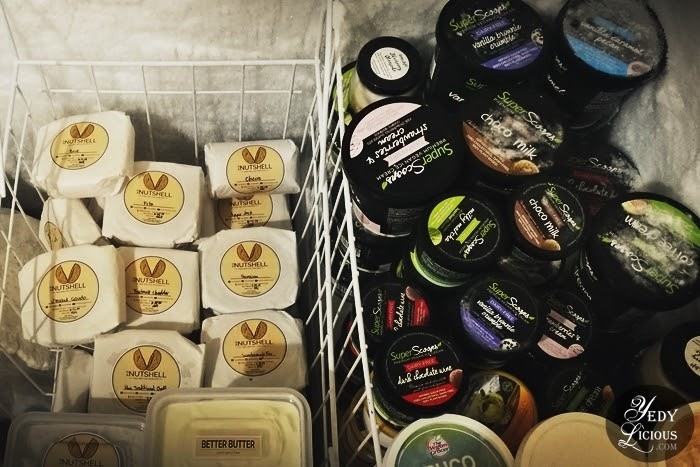 There were also variety of vegan cheese from In A Nutshell brand such as chevre, parmesan, smoked gooda, pepper jack cheese, feta, brie, fast melt cheddar, cream cheese, non-traditional cheddar, and mozzarella. I also spotted some vegan butter and non-dairy vegan ice cream. 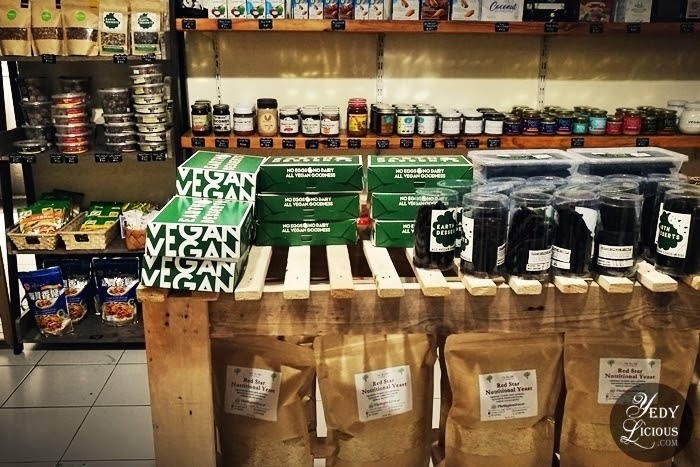 Aside from the edible products, The Vegan Grocer also sells vegan and eco-friendly products for everyday use. 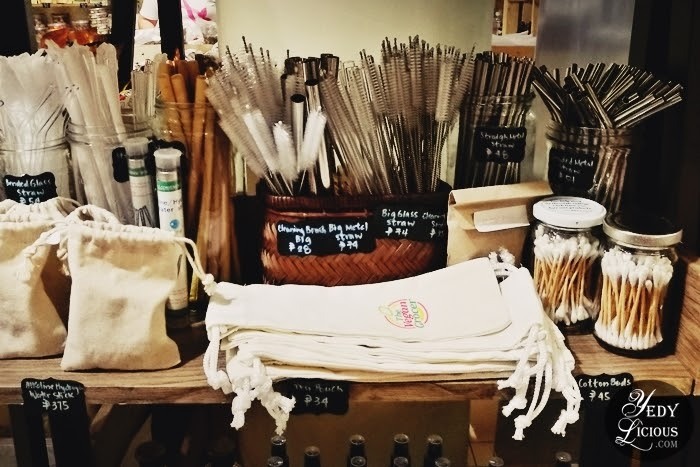 I spotted several products which are perfect if you are in pursuit of zero-waste lifestyle such different kinds of re-usable straws made with metal, glass, bamboo, and silicon. There's also the cleaning brush that is perfect for these straws. 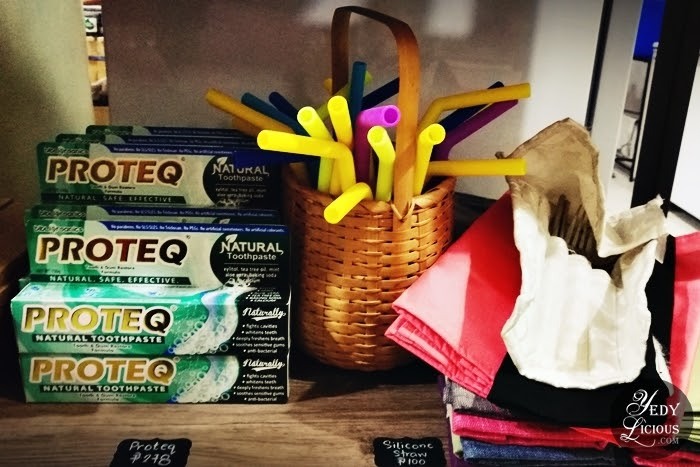 Eco-friendly hygienic products are also available. 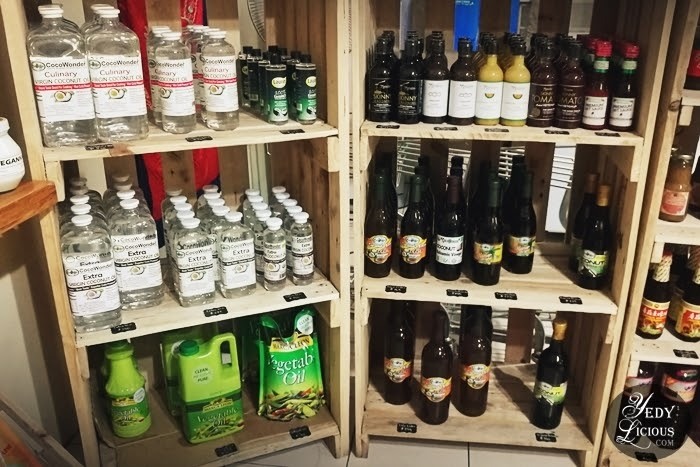 All the brands that I saw are new to me but I find everything interesting so, I promise myself to try them when I finished with my stock of eco-friendly products at home. The Control Freak mosquito repellent and germicidal spray I find interesting I'll make sure to grab some of it on my next visit. 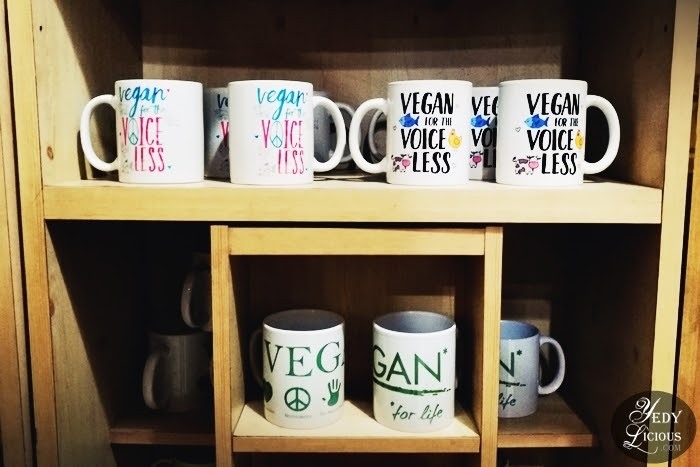 Vegan statement merchandise are also available. There are nice and cute coffee mugs, tumblers, baseball caps, and shirts. I believe they accept bulk orders for giveaways and such. 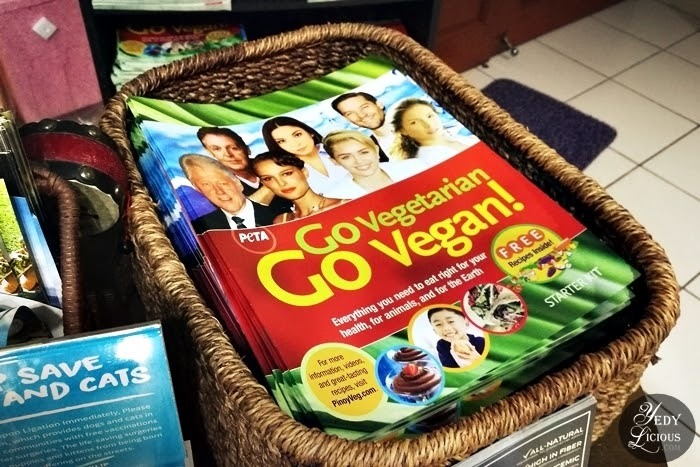 Truth be told, I've got long way to go before being fully educated about the vegan/vegetarian/plant-based lifestyle. 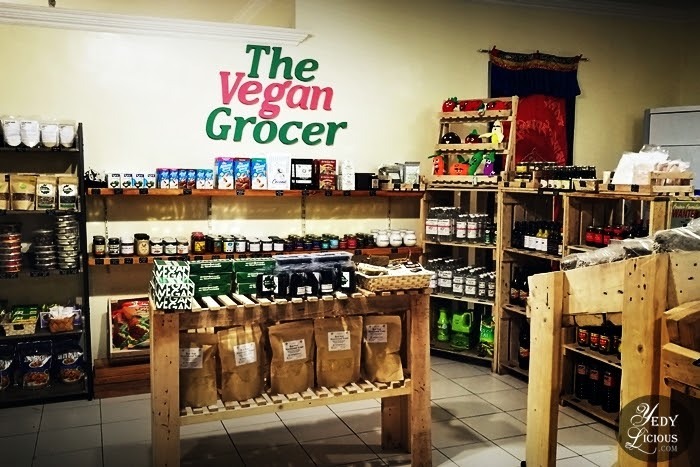 However, I am glad that with stores like The Vegan Grocer, I feel like this journey will be so much easier as it gives me easy access to variety of cruelty-free food and products options I can get my hands on. 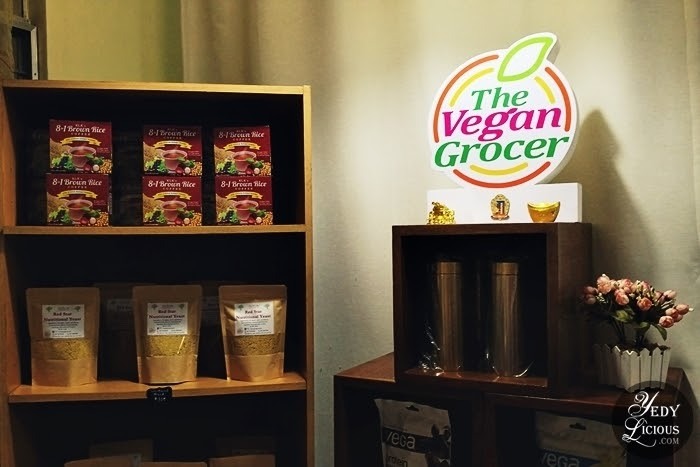 So if you are a vegan, vegetarian, plant-based, or in transition just like me and are looking to buy vegan products, I highly recommend The Vegan Grocer. 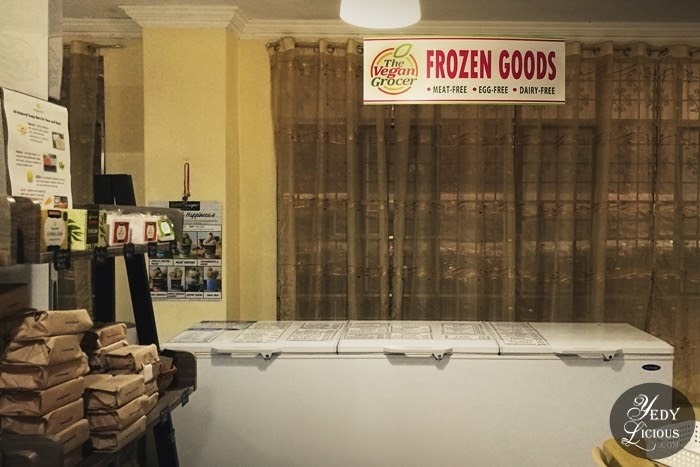 Their store is located in San Juan City but if you find the area far from you, they also do delivery as long as the courier company can reach your area so, do check out with them first. Lastly, please do expect more vegan/vegetarian-related blog posts here at YedyLicious in the coming days. I've been dropping hints in my previous blog posts, so if you are a frequent reader here, you'll prolly have an idea already. However, we are going to do it slowly but surely hence, do not judge if there's the usual bacon and meat non-vegan post every now and then. I am in transition and I want to take you in this journey with me, but please be understanding and patient with me dear readers. 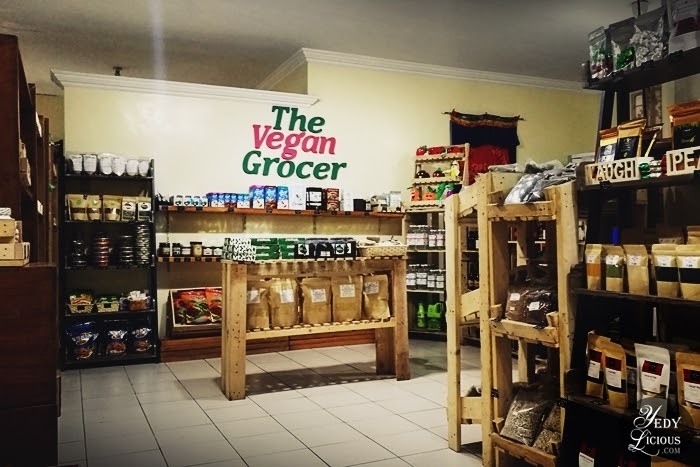 11 comments on "The Vegan Grocer: A Store Where You Can Buy Vegan Food And Other Vegan Products in Manila Philippines"
OMG Thank you Thank you Thank you Ms. Yedy! 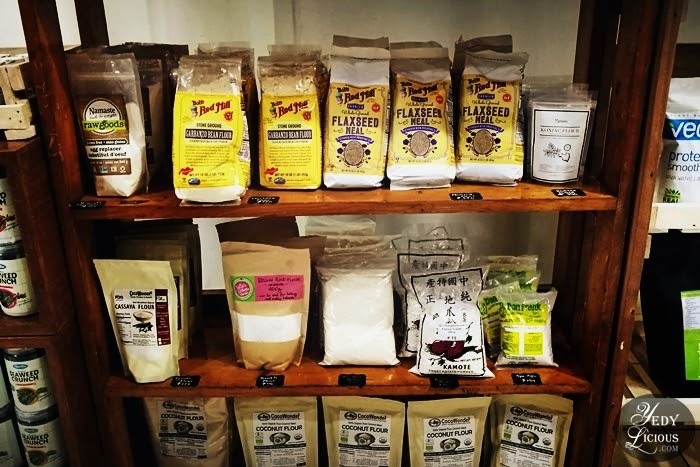 Thank you for sharing about this vegan grocery. 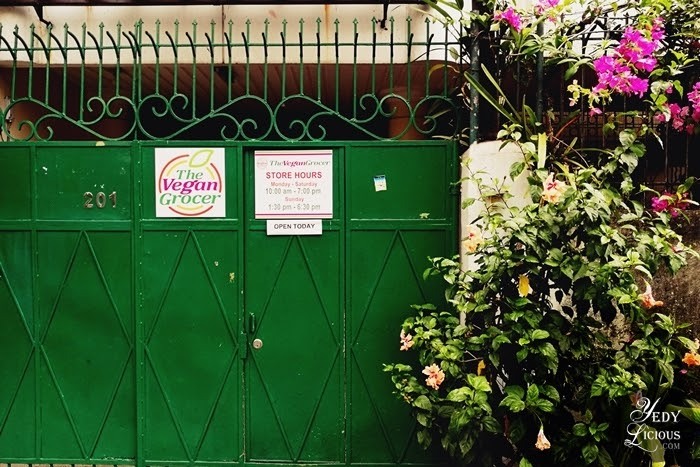 Places like this needs more exposure because we don't have much vegan stores in Manila. I am also transitioning to vegetarian Ms.Yedy. Thank you for blogging about this. I will visit them soon. 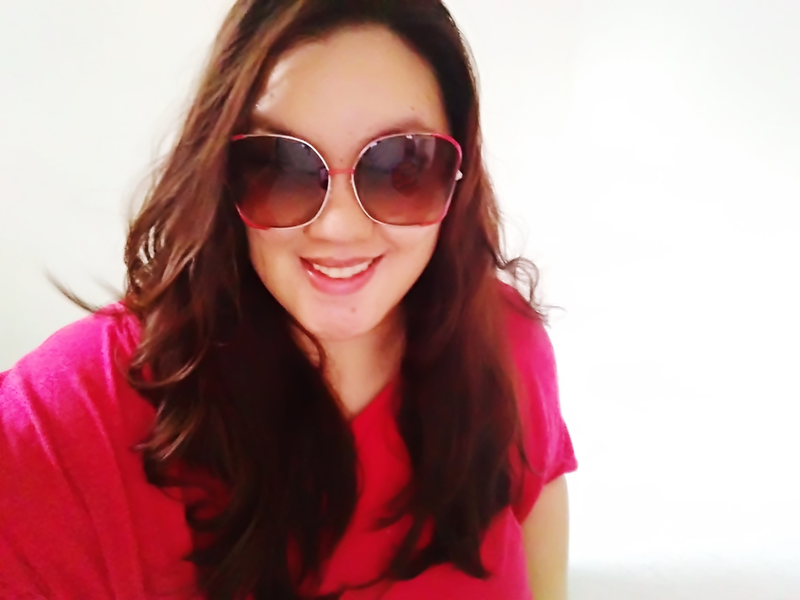 Kudos for coming out about your plans in changing lifestyle considering you are one of the most read food bloggers in Manila. I am a meat eater but I read your blog for your stories, I'm not going anywhere. Good luck and all the best to you. God bless you for sharing about veganism in your own way! I am so excited to visit them. I saw a lot of products I want to buy. Thank you for blogging about this. 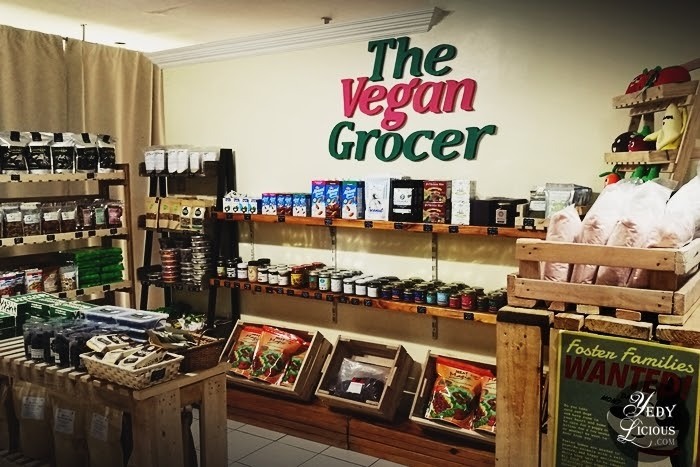 I didn't know that we have a vegan store like this in manila. Thank you for sharing this YedyLicious! Thank you for sharing this. I always rely on my family from the states for my vegan food products, now I can just visit the vegan grocer thanks to you. Wow Ms. Yedy I am also resorting to plant based these days. I am so glad that you are too. I can't wait for more of your vegetarian and vegan blog posts. More vegan recipes please! I always follow your recipes here and everything is delicious. I want to try healthy dishes too. Thanks!